The Auschwitz Institute for Peace and Reconciliation (AIPR) observes August 9, 2016 as the International Day of the World’s Indigenous Peoples. The annual observance was established by the United Nations General Assembly in 1994 through Resolution 49/214. The International Day serves to commemorate the first meeting of the UN Working Group on Indigenous Populations, which took place in 1982. The theme of this year’s observance is “Indigenous Peoples and Education,” with a special emphasis being placed on challenges related to indigenous communities’ access to education. No-one must be left behind – especially indigenous peoples. They count among the world’s most vulnerable and marginalized people. Yet their history, traditions, languages and knowledge are part of the very bedrock of human heritage. Every Government and every State needs to work with indigenous peoples to keep those languages alive because when they are gone, that whole stream of cultural connections to that part of civilization is gone forever. Much of modern history is built on theft — the colonial theft of culture, language, history, and land from indigenous peoples. That theft has left a generational impact of devastation on indigenous peoples, many of whom still struggle to achieve basic human rights, security, and political voice. On this International Day of the World’s Indigenous Peoples, the Auschwitz Institute stands alongside the United Nations and its other international partners in solidarity with indigenous communities across the globe. 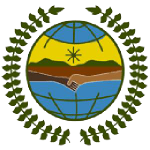 AIPR readily supports the broadening of collaborative initiatives that work towards remedying the issues faced by indigenous communities and those dedicated to strengthening the rights and protections as provided for in the Declaration on the Rights of Indigenous Peoples.